Produces an all over glistening shine, including mane, tail and plaits. Ideal for final show preparation and for fixing quarter markers. Quiet aerosol. 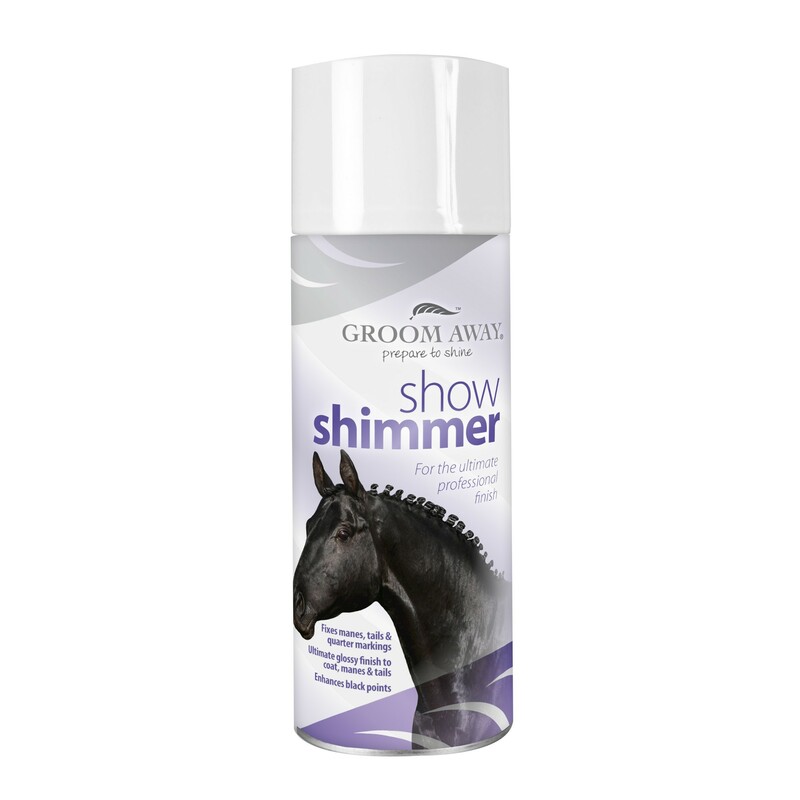 There are currently no questions for Groom Away Show Shimmer for Horses - be the first to ask one!